When it comes to teaching, no method or approach is as important as the character, the commitment, and the personhood of the teacher. But you can further your development as a teacher by learning about approaches, methods, and activities appropriate to lifespan faith development in the liberal church, which is what you’ll get in this guidebook to religious instruction. Betty Jo Middleton takes a Unitarian Universalist perspective but draws upon many sources in focusing on teaching approaches, methods, and learning activities appropriate and effective for people of all ages. Explore seven categories of teaching methods for use in programs for faith development, and learn how to incorporate the following into your teaching: storytelling, creative expression, learning through play, discourse, learning stations, real-world experiences, and reflection and meditation. 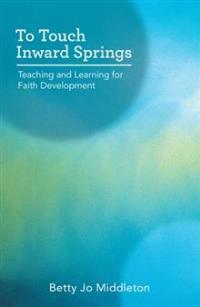 Whether you’re a religious educator, member of the clergy, volunteer, or a parent of a child in a religious growth and learning program, you’ll be empowered by the strategies and insights in To Touch Inward Springs. Once upon a time, a long time ago, people gathered around fires in the dark evening quiet and began the remarkable, unbroken custom of storytelling. They shared understandings of, and wonderings about, life and death and the world around them and related the commonplace and unusual events of their day. This is a significant tradition in our human heritage and we are storytellers all. Story is the primary content of religious education; conveying story is its primary method. While not all activities in religious education involve stories, there is really no religious education without them. We marvel at the power of stories to help and to heal, to shape and define, to teach, and to entertain.